Isaac Thorne is a nice man who only wants to provide you with a few fun frights. Over the course of his life, he has developed a modest ability to spin a good yard. Really. He promises. He avoids public restrooms at all costs. 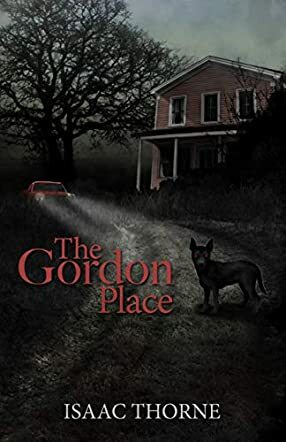 The Gordon Place by Isaac Thorne is a spine-chilling tale of horror and spiteful spirits. Graham Gordon, the newest – and only – constable in Lost Hollow, is going home. For the first time in 20 years, he sets foot inside his long-abandoned family home, a place that doesn’t instill warmth or good feelings in him. Used by local teens over the years, there have been rumors of strange screams coming from the house. Town administrator Patsy Blankenship is meeting with Afia Afton, a news reporter whose father is a hate-crime victim. She wants to come up with a ghost story for Hallowe’en and Patsy thinks the Gordon place is just right. Bad move. The past and the present are about to collide with deadly consequences. Can Graham ever escape his family home? Will Afia get the story she really wants? Are both prepared for a fight with the spirit from hell? And can they both finally move on with their lives and put the past behind them? The Gordon Place by Isaac Thorne is a great story. Isaac Thorne builds up the suspense gradually, writing in a way that draws the reader into the web. The descriptive nature of the story has you feeling you are really there, hearing every creak and echo of the past. The main protagonist has an interesting back story that is brought out throughout the plot as we learn more about the childhood abuses he suffered. All the characters are exceptionally well developed. The story is very well paced, full of detail and plenty of action to keep a reader hooked. This book will have you on the edge of your seat, unable to stop reading until you reach the end. It’s a clever mix of horror and supernatural, perfectly blended, and I thoroughly enjoyed it.